Fairfax, VA – January 6, 2016 – 3Pillar Global, a leading developer of innovative software products, has launched an online home for its R&D arm, 3Pillar Labs. The site showcases a number of 3Pillar Labs’ latest endeavors and contains select original content on the Labs Blog. Content on the site covers the technology areas & trends the 3Pillar Labs team is currently exploring, including topics like blockchain technology and the creation of microservice architectures. Among the latest projects to have come from 3Pillar Labs are The Innovation Engine podcast’s iOS app and a Beacons Event Gateway that was created for attendee management at large events. The value each 3Pillar Labs project creates is highlighted, as are the core technologies underlying each. 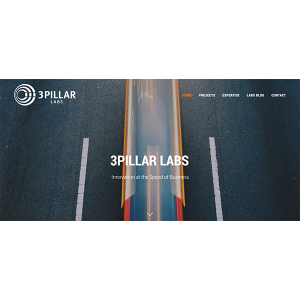 The site also details areas of expertise like open source software and prototypes/proof of concepts that 3Pillar Labs has garnered since its founding in 2012. 3Pillar Labs is 3Pillar Global’s R&D arm and is responsible for evaluating emerging technologies to assess their viability, impact, and potential to create tangible business value. Labs teams focus on the creation of technology solutions that are innovative, market-driven, and business-focused.